AkzoNobel, a global leader in making paints and coatings, will bring a modern twist to McLaren’s heritage papaya colour at the Abu Dhabi Formula One Grand Prix 2018. At the Grand Prix, one of the Middle East’s largest entertainment event, McLaren racing cars will sport a bright new colour created by AkzoNobel experts. 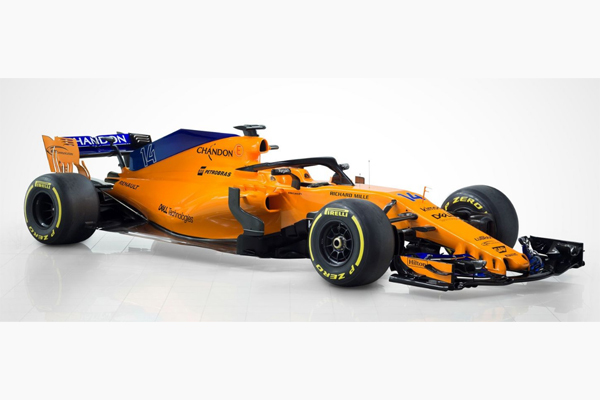 Celebrating its 10-year partnership with McLaren, AkzoNobel’s colour experts have created Papaya Spark, an eye-catching and modern twist on McLaren's heritage papaya colour, which is already a hit with fans, with this season’s MCL33 F1 car winning a BBC poll for livery of the year. The close relationship between AkzoNobel and McLaren shifted into gear in 2008, when AkzoNobel became the official supplier of paint solutions for McLaren Racing. McLaren has used the company’s premium Sikkens brand for its F1 cars ever since. The collaboration isn’t limited to the F1 team. AkzoNobel has also been a technology partner to McLaren Automotive since 2012, with all McLaren road cars being fully painted in the company’s products.